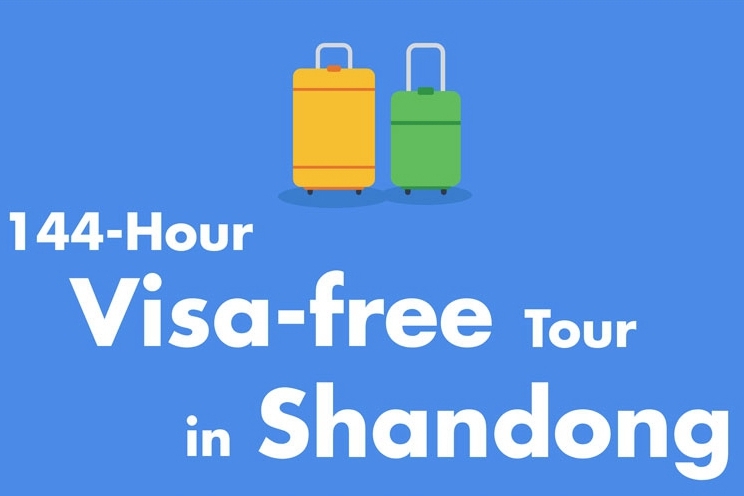 The transformation of old economic development drivers into new ones has reached a key stage in Shandong province, East China. 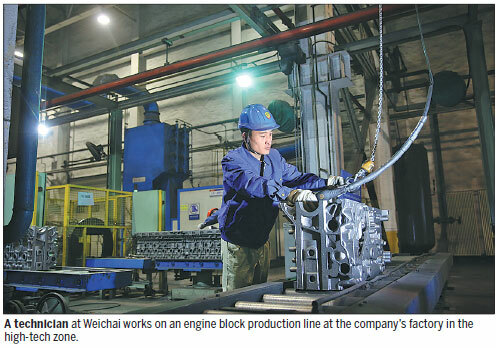 Weichai Group, a heavy truck engine and component developer and manufacturer at the Weifang Hi-tech Industrial Development Zone, is taking the lead in the province's efforts. The manufacturer sold 620,000 engines and achieved more than 220 billion yuan ($34.77 billion) in sales revenue in 2017. On Feb 5, the company announced its ambitious plan to achieve an annual sales revenue of $100 billion yuan in the upcoming years. It has also set goals to become one of the world's leading traditional powertrain, component and engine developers by 2020 and, in line with new economic drivers, become a leader in new energy vehicle development globally by 2030. To further this ambition, Weichai hosted its first global suppliers conference on Feb 26 to discuss and share its international development strategy. More than 100 suppliers from around the world took part in the event to learn more about the company and its goals. Weichai has long been committed to expanding its global research, production and sales network so that it can support its long-term growth, a group spokesman said. The group established its first overseas research and development center in Austria in 2003. To bolster its first foray into global R&D, in the following 15 years Weichai carried out a series of mergers and acquisitions, including the purchase of French marine engine developer and producer Moteurs Baudoui in 2009. In 2012, Weichai Power, a branch of the Weichai Group located in the high-tech zone, bought a 25 percent stake in German forklift-maker Kion for 467 million euros ($571.02 million) and a 70-percent controlling stake in Kion's subsidiary Linde Hydraulics, for 271 million euros. In the same year, Weichai purchased a majority stake in Italian yacht-maker Ferretti, to tap into the luxury yacht sector. In 2016, all of Weichai's overseas projects reported positive profit growth. The Weifang-based group has also expanded into new fields along the industrial value chain. Weichai supported its German branch Kion to purchase the United States-based logistics company Dematic for $2.1 billion in 2016. The move helped the group to become one of the leading intra-logistics solutions providers in the world. According to a spokesman, Weichai has never stopped looking for good international projects to become involved with. One such project is leading alternative-fuel power system developer Power Solutions International, which Weichai invested $60 million in to become its largest shareholder in March 2017. 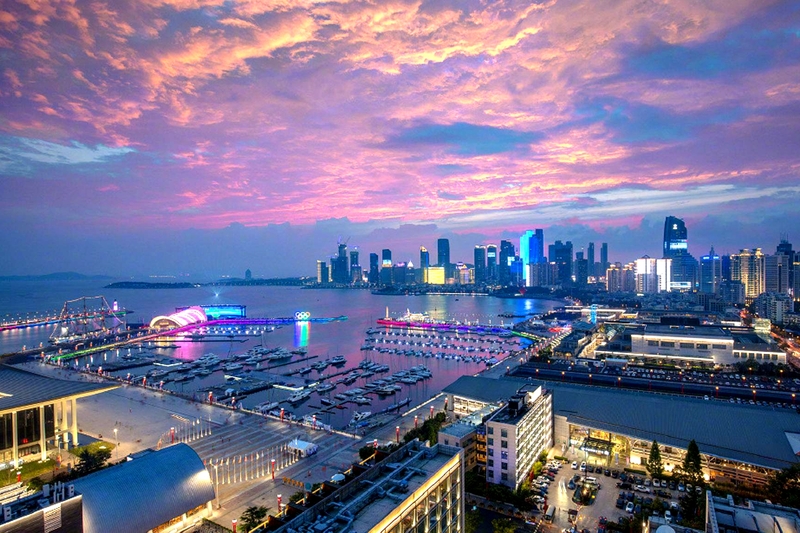 Weichai has grown into a conglomerate with a strong presence in six market sectors: powertrain development, vehicle production, construction machinery, smart logistics, luxury yacht development and financial services. It has business branches in Europe, North America, Southeast Asia and South Asia. Tan Xuguang, chairman of Weichai, said that the company has completed its globalization and is looking at how to provide better value-added products to global clients.